Comics have been in business since 1938. Do you think they know a thing or two about establishing loyal, long-lasting relationships? Heck yeah they do. During that time, they’ve learned how to connect with their customers on an visceral, gripping level. And this was all before they started dominating the box office. So let’s jump in and learn from a pop culture dynasty. Now, I will say, that guy on the right is still a dangerous looking dude in a bizarre costume that I wouldn’t want to mess with. 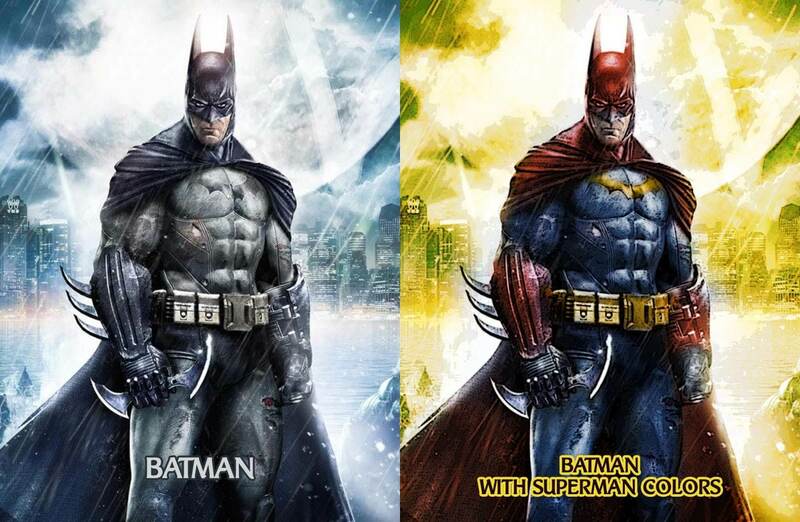 My point isn’t that Batman is suddenly better or worse just by changing his colors. My point is just that he feels different, you know? Batman is not Batman without his signature colors. (Or lack of color?) Even though everything else remains the same, he really doesn’t feel like the Batman we know anymore. That makes this rendition pretty cool because we get to see something familiar in a unique new way. There’s an even deeper lesson here, though, and one that we should always remember: Color has an unmeasurable but definite tone. If your company is upbeat, you don’t want to be dressed in drab greys. If you’re company is serious and steadfast, ease up on the neons. The above is a picture of a little known character originally from the 1970s, Black Lightning. I want to draw your attention to the onomatopoeia. Technically speaking, “Pow” and “Kspoing” are sounds. There are graphical elements that probably help you understand that, like the absence of speech bubbles around them. But notice how the fonts themselves are rendered — all caps, thick lines on the lettering, and how the words themselves bend and twist. All those details lend these simple letters more character and energy. The simple takeaway: Fonts matter. People will experience your business differently if your logo is in Lato vs Comic Sans. Comic books are a lot of things. Visually arresting, creative, maybe a little melodramatic sometimes. But boring? Not a chance. Superman is one of the most iconic characters ever created. But in the late ’80s and early ’90s, sales of his comic book had started to drop. So what did the creatives behind DC Comics decide to do? They decided to kill him. In a 37 part story that sent ripple effects across the comic books universe, Superman punched himself to death against a strange alien, and then the entire Superman line of comics went dark for about three months. The Superman titles gained international exposure, reaching to the top of the comics sales charts and selling out overnight. What’s more, the event was so unusual that it was widely covered by national and international news media. Yes, Superman eventually came back (as the good guys tend to do). And bringing him back was met with some surprise and criticism. But killing Superman in the first place? That was storytelling dynamite. Years ago a not so great movie was about to hit theaters — Ben Affleck’s “Daredevil”. While the movie might not have been very good, there was a great line from an interview about the movie. I still remember it to this day. What does this mean for branding? Well, it means that one way to differentiate yourself is through scale. Do you make a product that most people have always considered to be small and boring? Make it huge! Make it save the world. Superman is a superpowered orphan from a faraway planet, come to serve mankind. 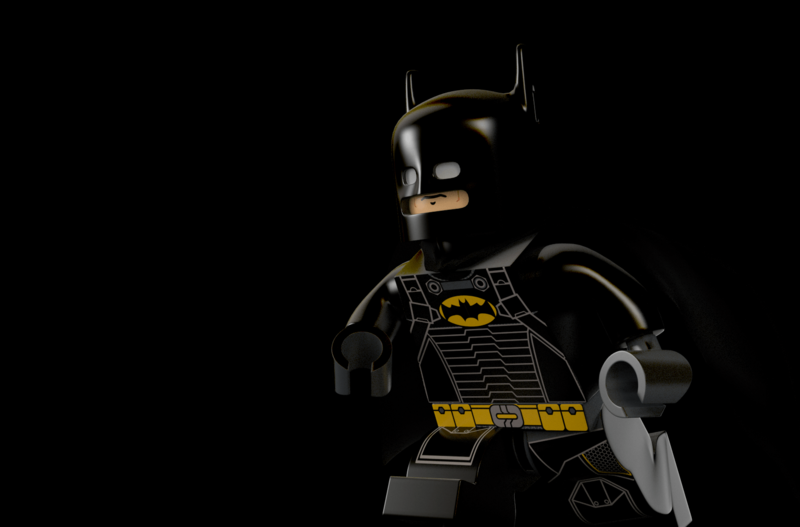 Batman’s parents were murdered in an alley, igniting his eternal commitment to fighting crime. The Green Lantern was gifted a ring of power from a race of ancient aliens. People don’t just care about who you are. They also care about where you came from. So when people say, “What’s your story?” make sure it’s a question you’ve thought about before. Have a brand story. An inciting incident. What made you decide to take action? A hero. How does the conflict get solved? If you want to get more sophisticated, instead of focusing on yourself or the product, how can you think of your customers as the hero? And instead position yourself in a supporting role. Lastly, people can sense a lie with uncanny accuracy, so it’s important that your story be rooted in a place of honesty. So whoever you are, just be it.